As tutor and post production supervisor at the Royal Conservatoire of Scotland, GAVIN RIZZA oversees and contributes to more than 80 projects per year. These include a wide range of genres and styles from web promos and single camera drama, to full ensemble musical shorts. He is responsible for the management and maintenance of all equipment and the training of students in craft and operational editing skills. Gavin’s role on the European Music Archaeology Project is to oversee the RED media management and post-production processes for the documentary ‘Blasts from the Past’ and Archaeomusica exhibition video content as well as location sound recording and mentoring the sound and post-production students involved in the project. 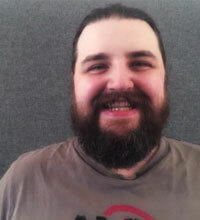 Gavin also continues working freelance as an assistant editor and mentor for the BFI Film Academy.